Savannah Resources Plc (LON:SAV) CEO David Archer talks to DirectorsTalk about a Cash Placing and Subscriptions for £11.5 million. David talks us through the highlights, explains how the cash will be used and whats next for the company. 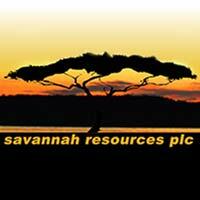 Savannah Resources is a diversified resources group (AIM: SAV and SWB: SAV) with a portfolio of energy metals projects – lithium in Portugal and copper in Oman – together with the world-class Mutamba Heavy Mineral Sands Project in Mozambique, which is being developed in a consortium with the global major Rio Tinto. We are committed to serving the interests of our shareholders and to delivering outcomes that will improve the lives of our staff and the communities we work with.